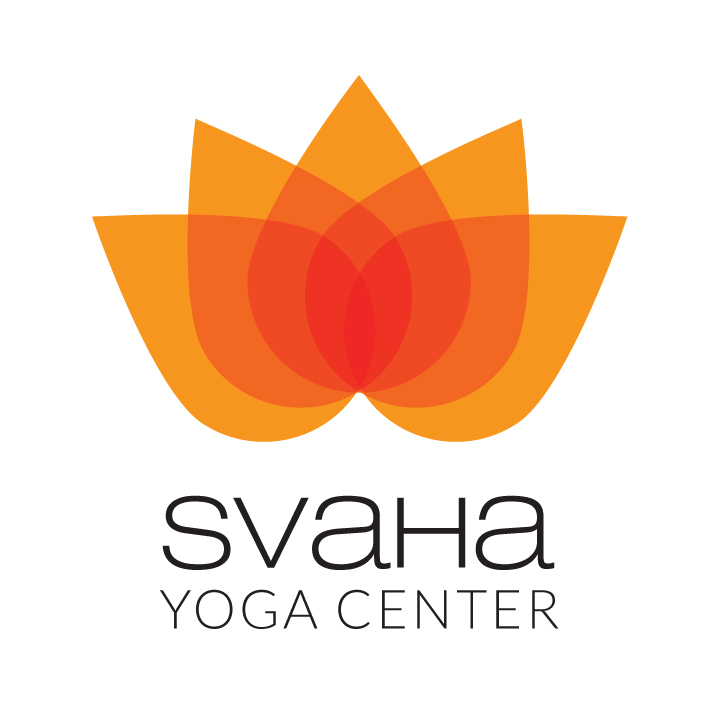 Welcome to Svaha Yoga Center! Yoga is best practiced on an empty stomach. Wait 3 hours after a large meal, 2 hours after a snack if possible. Please turn your cell phones off or silence them, even from vibrate. Please refrain from wearing any perfumes or strong scents, as others may be allergic. Arrive early for class to allow yourself time to sign in, place your mat in the studio and prepare for class. Write your name legibly on the yellow pad on the front desk and fill out a registration/waiver form for Svaha Yoga Center. Let the teacher know that you are a student from Svaha Yoga Center (As there are a few teachers and studios sharing the space) and that it's your first class. Payments for class can be made conveniently online on our Price List page. You can also make a check out to Svaha Yoga Center for your New Client Special or price option of your choice. We also accept cash and all credit and debit cards. If you are sick and contagious, please refrain from coming to class. Wear breathable clothing that you can move and sweat in. T-shirt, shorts, yoga clothes, bare feet. You may also choose to bring a hand towel if your hands get sweaty and slippery on the mat and a water bottle to hydrate. Be a kind teacher to yourself. Go at your own pace, and make modifications wherever needed. Don’t hesitate to ask the teacher for modifications or any questions you may have. We are here to help. Please let your teacher know if you have any injuries, health concerns; if you are pregnant or have had any recent surgeries so that we can best assist you. It is best to bring your own mat for hygienic reasons as well as to build a personal connection to your yoga practice. Most teachers will make hands on adjustment to give a student a deeper understanding of a pose or guide them into balanced alignment. Please let your teacher know if you prefer not to have any hands on adjustments. If you need to leave class early, please let your know instructor before class. Please allow yourself some time in savasana (final relaxation pose) before you leave to integrate the benefits of your practice.